The Best Products. Worth your time. Promise. Are you looking for a pole lighting source that saves your energy and brightens the area where you want to light? Households, electrical contractors, and companies are installing LED lights in their environs and parking lots to save maintenance costs that accumulate over time. This type of lighting is the right solution for replacing old area lights. This is mainly because they are made in a way that they can illuminate a large area. Hyperikon LED Shoebox Pole Light 480W provide amazingly high lighting output and are the best energy saving replacement light you can have in your home. These lights eliminate maintenance costs that are associated with the use of MH/HPS/HID lights by changing to Hyperikon’s LED Shoebox light. LED shoebox lights are a great choice for security light that you can use at home, lighting streets and other areas that require outdoor broad light coverage like sports events or concerts. They can be used in urban roads, residential areas, industrial areas, parks, schools, and gardens. Hyperikon 480W LED Shoebox Pole Light will give you the experience of what high-output means. Forget about your high-intensity discharge, old metal halide, and high-pressure sodium fixtures. Everything about these old versioned lights is a hassle: the bad light quality, the warm-up time, the maintenance, the noise, etc. This is the perfect time to make a change. Change your old fixture to experience incredible light quality from Hyperikon 480W LED Shoebox Pole Light for area and street. Your days of working in the dark are gone. The Hyperikon 480W LED Shoebox Pole Light is a really durable product built to last more than 45,000+ hours. If this security is not enough for you, the light-just like other products from Hyperikon-are come with a 5-year unlimited warranty. This is referred to be the most hassle-free warranty program in the United States. The manufacturer truly stands behind the quality of their products. 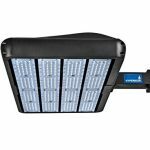 These lights will cut your electricity consumption by up to 7- percent when replacing your old HPS/HID fixtures with the mighty Hyperikon 480W LED Shoebox Pole street light. These lights are widely used in indoor and outdoor area lighting, street lighting, and in warehouses and security areas. Generation 5- Hyperikon 480W LED Shoebox Pole Light uses the latest LED technology with a patented design. This light offers the highest quality and brightest light with an amazing output of 135Lm/W. Longer lifespan-These lights have a lifespan of 21 years or 45,000 hours (6 hours of usage per day). That means that when you install it, you can sure that it will last for many years before thinking of replacing it. Replace your street lights today with Hyperikon 480W LED Shoebox Pole Light and you won’t have to think about it for many years. 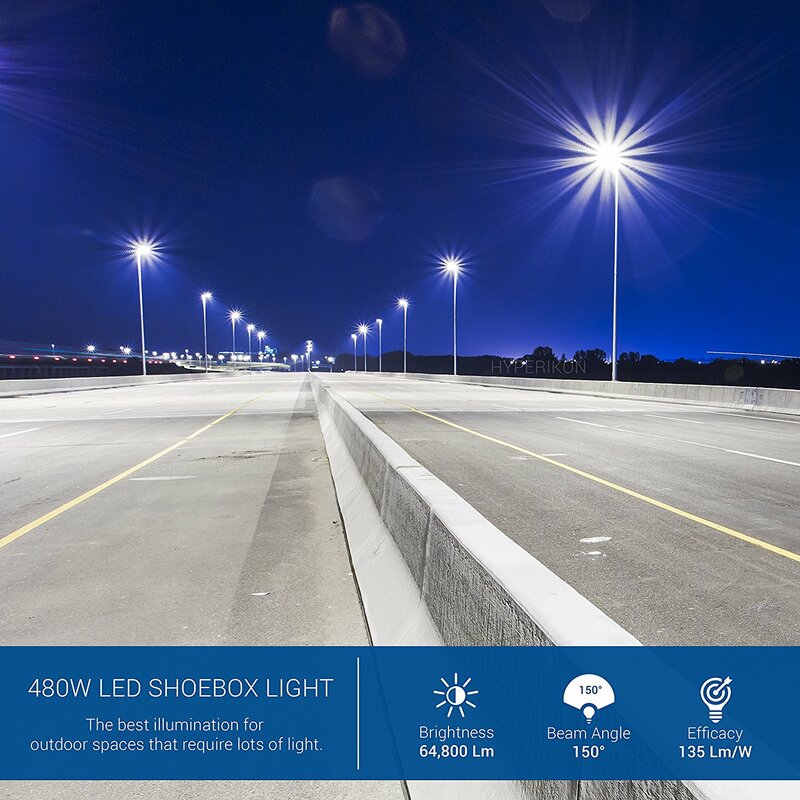 Photocell enabled-This LED shoebox comes with a dusk-to-dawn photocell sensor that detects ambient light also powers the light ON and OFF automatically. USA manufactured and patented-The manufacturer of Hyperikon 480W LED Shoebox Pole Light is a fully American owned California based on corporation specializing only in LED lighting. The company always covers its 5-year unlimited warranty when you buy Hyperikon products. Designed to withstand all weather conditions, including rain, hot sun etc. Should I buy Hyperikon 480W LED Shoebox Pole Light? Hyperikon 480W LED Shoebox Pole Lights are efficient, easy to install and have a long lifespan. 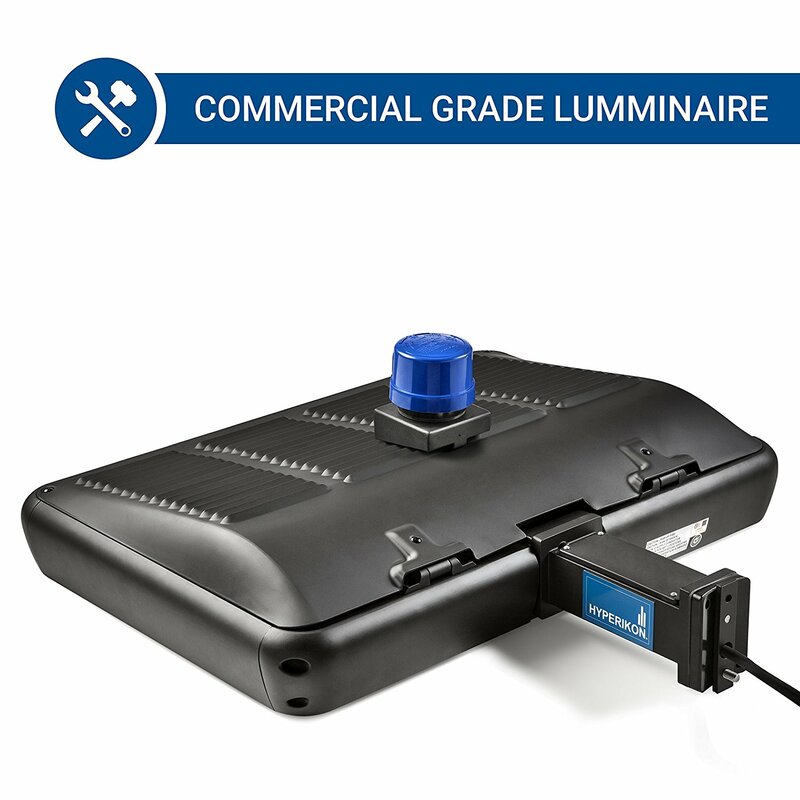 They can last for many years (up to 21 years or 45,000 hours), making them ideal lights for installing in streets and warehouses. They will also energy saving, reducing your electricity bills by a huge margin. In addition, they are easy to maintain, and unlike most street bulbs that get damaged as a result of heavy winds and rains, these ones don’t. 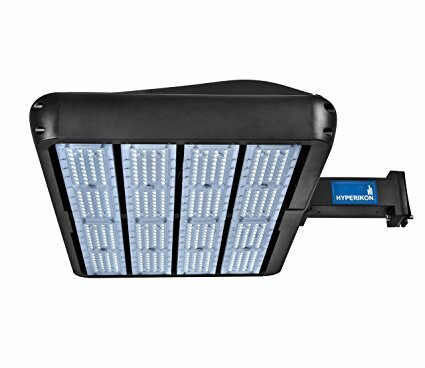 These lights also have a unique design and are bright enough to provide just the right amount of light in a parking lot, warehouse or street. So, YES, you can buy Hyperikon 480W LED Shoebox Pole Light with confidence to know that you are indeed buying a good LED light. I installed two of these lights, replacing old halogen parking lights. I did the installation myself as it is easy to install. The construction is solid and if you need a different mounting base, you can contact the manufacturer and they will ship the mounting base in the shortest time possible. Another thing that impressed me is the fact that the product is shipped on the same day. This LED lights are bright and I have been using them for some time now and I would like to say that they are amazing. Even at 17 feet high, they still produce enough light to cover large areas which makes them ideal for parking lots and inside warehouses. Copyright © 2019 Top 10's Unit. All rights reserved.